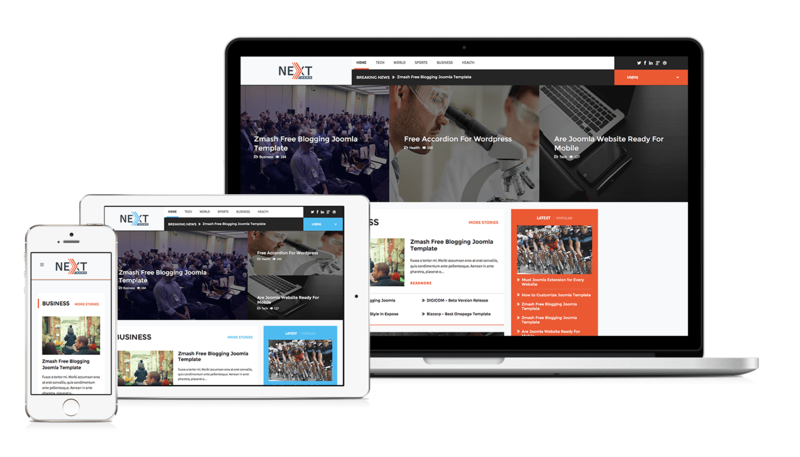 Next is a next generation news/magazine Joomla template with a pleasant look, enables the reader to keep reading as the UI gives enormous information with a read & go visual decency. News or Magazine website are crowded with tons of useful information and contents. And it’s difficult to place them in coherent precedence. 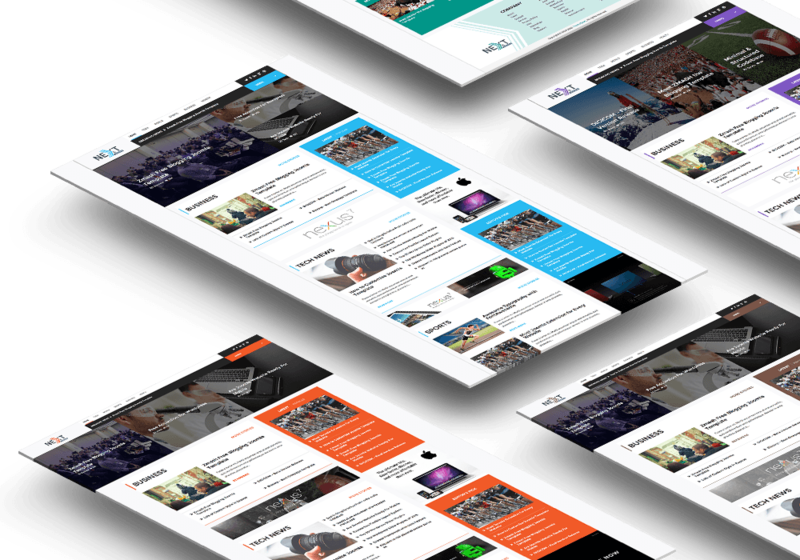 So, We crafted a slider called Grid Slider to engage readers a bit smartly with this best Joomla news portal template. Next is fully mobile friendly and responsive joomla template, can adapt automatically to mobile, tablet, desktop and Kindle. Forget to make separate layout or content for any other screen and viewing devices. 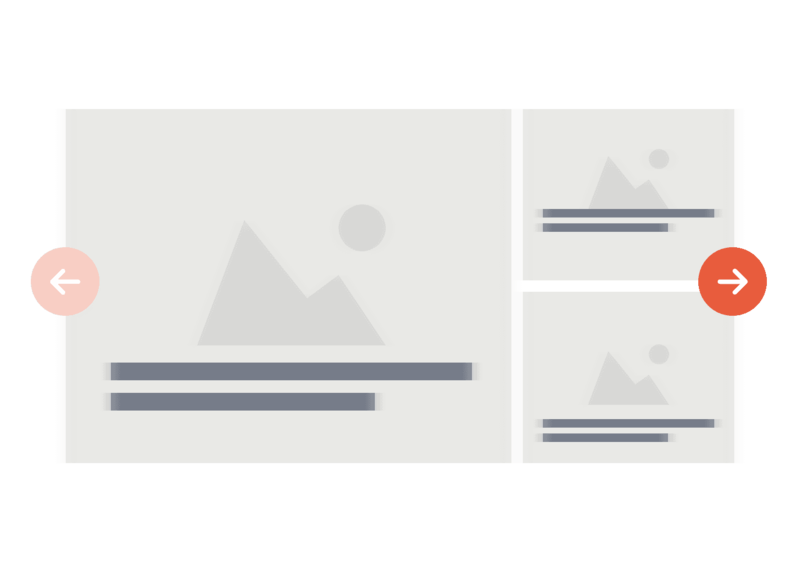 Mengamenu and Off-Canvas menu offer a wide range of menu options, such as: inline subtext, icons, images, videos, modules, custom column widths and more. Next supports both MegaMenu for desktop and Off-Canvas menu for small screen and mobile devices. 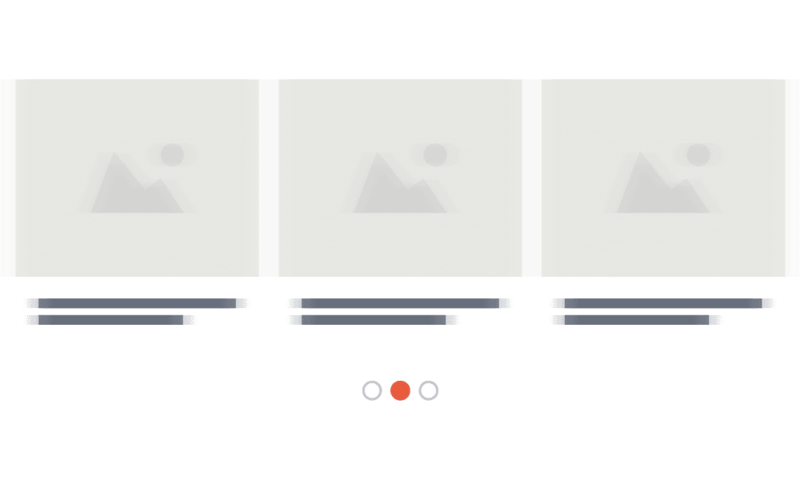 Box and full-width layout are the most prevalent model of today website design. Both layouts style have own individual benefits in different circumstances. 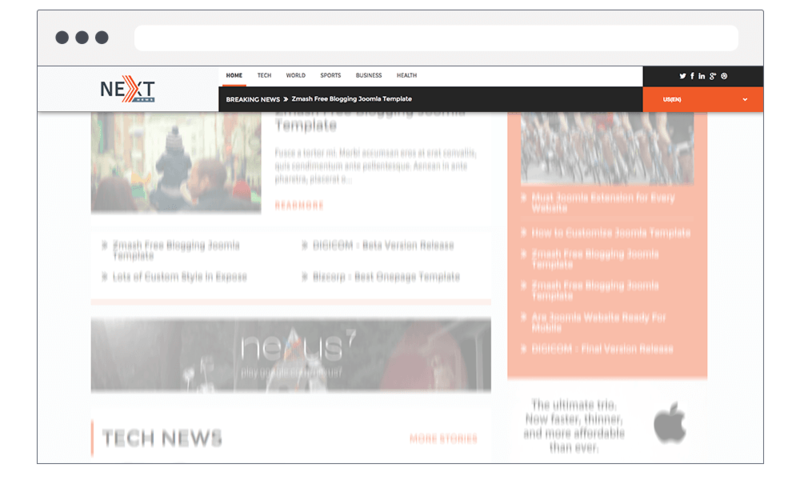 We try to accommodate all the useful options so that you do more with Next template - best Joomla news template. 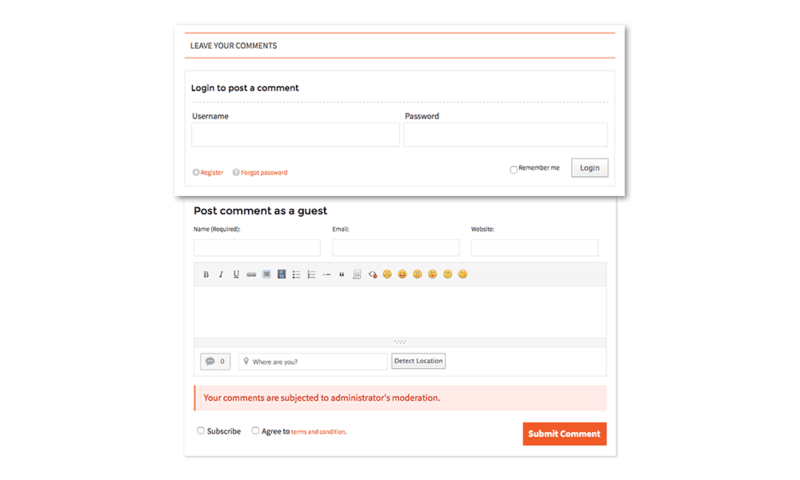 Xpert Contents is a great module to display your content beautifully. 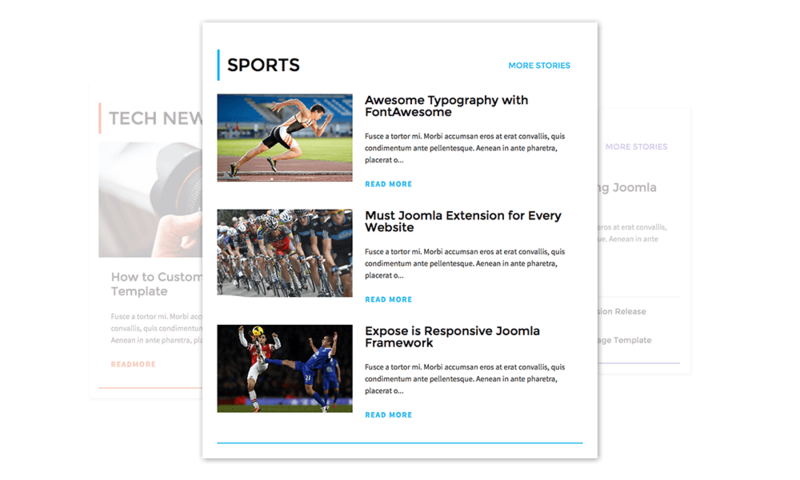 The module has been developed for perfect showcasing news from Joomla, K2 and EasyBlog article and images. Navigating users is now easy and simple, no matter how far down a page is scrolled, the navbar is visible everywhere. Thanks to Sticky Navigation Bar. Modern technologies offer a wide range of advantages. 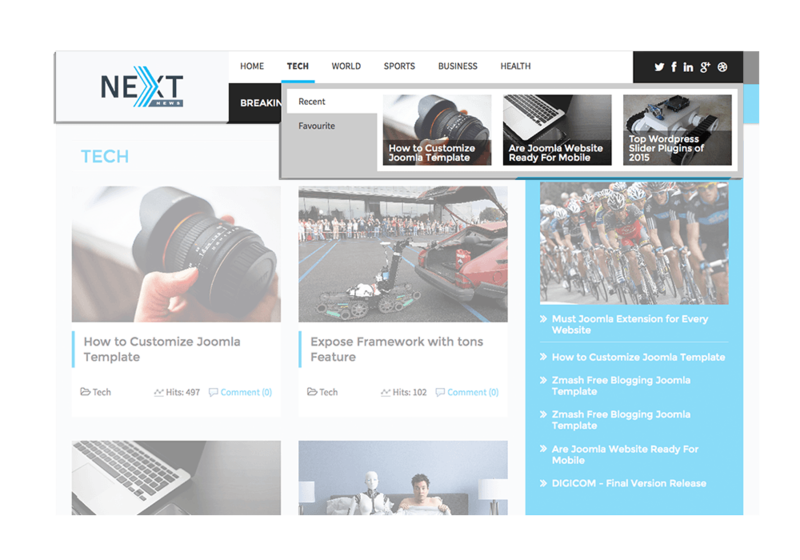 Next news Joomla template is built with Joomla 3, Bootstrap, HTML5 and Expose Framework.